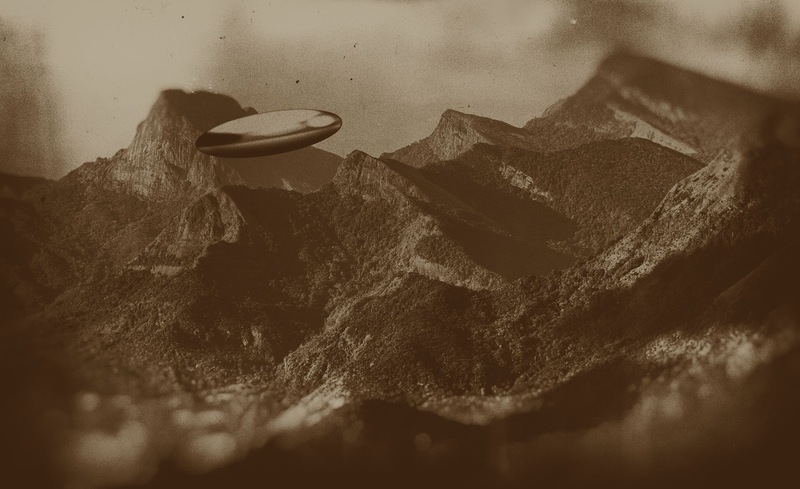 Inexplicata-The Journal of Hispanic Ufology: Ecuador: The Declassified Story of the Manabí "UFO Base"
Ecuador: The Declassified Story of the Manabí "UFO Base"
Peñón de Chirije is a hill located near Chirije in the Bay of Caráquez. According to the eyewitness statement from a local resident, Francisco Paladines, while he was on guard duty one night in 2007, he saw a red laser beam come out of the sky, striking the summit of the hill in a straight line. It retracted and struck the summit three more times in a synchronized manner. A rock broke off and rolled downhill. The mystery is present in the town of Crucita, following the disclosure of an "alien base" offshore and constant sightings in the Chirije sector of the Province of Manabí. The existence of an alleged alien base located off the coast of Crucita in the Portoviejo Canton was disclosed in early 2000. According to ufologist Jaime Rodriguez, the armed forces and government are aware of this. The ufologist has noted that the first UFO cases in Ecuador were recorded in 1979, and that the first letters were submitted to the Ministry of Defense in 1982, requesting an official investigation into the phenomenon in that country. Twenty-three years later, in 2005, the creation of CEIFO (Comisión Ecuatoriana para la Investigación del Fenómeno OVNI) was authorized. The first 44 cases were investigated, involving personnel from the three branches of the Armed Forces in various cities of Ecuador. On June 25, 2007, according to Rodríguez, the military was authorized by then president Rafael Correa to proceed with declassification. One of the cases narrated by military men, among them Admiral Luis Jaramillo, former Commander General of the Navy, involved the existence of the alleged base at Crucita, says Rodriguez. According to the document, Jaramillo stated that "while in command of the SS-101 Shyri submarine, submerged off the Manabí coast, 50 nautical miles from the Crucita beach, he detected the existence of a vast 'undersea hangar'. The discovery was confirmed via sonar, thus ratifying the base's existence, which has been reported on various occasions by pilots of the Ecuadoran Air Force. From time to time, pilots claim having chased unidentified flying objects to Crucita Beach, at which point they 'vanished'. The document points out that 'these experiences have also been shared by many members of the U.S. Air Force when operating out of the Manta Air Base.' However, all of these experiences were classified by USAF personnel as 'sensitive' and concealed from ordinary citizens. To date, there are 44 known cases related to the UFO phenomenon in Ecuador. Declassification supposedly came about due to the insistence of ufologist Jaime Rodriguez. He claims having obtained 44 documents and recordings about extraterrestrial manifestations in the hands of the Ecuadoran Armed Forces, placing them on YouTube for dissemination. The 44 cases took place in various cities of the country. One of the videos presents the eyewitness account of Major Leonidas Enriquez, who claims having seen two bright objects that hid near the mountains of Crucita. "I followed them, but they disappeared very quickly. We have heard that lights are seen in this sector. It isn't the first time," he notes. Military man Fernando Lapuerta provided another account, dated March 24, 2008: "I saw a bright light. I contacted the tower to see whether it was indeed an airplane and we were told it was not. The object was heading toward us. We checked the area and it left no traces. Its movements ere sharp and swift. It even remained motionless in the air and dropped quickly, something no airplane can do." Carlos Rojas, another military man, notes that one morning around 1100 hours he saw "an irregular, rhomboidal, shining object" in the sky. "It was a clear day and the object was very striking due to its light. I spoke to the leader in the tower and asked permission to break formation. I followed it and it was over the sea across from Manta. It later took off at incredible speed and disappeared." Osirys Luna, a military radar operator, said in his statement that strange movement was detected on the screens. The object travelled between Quito and Guayaquil in a matter of seconds. "It was a matter of seconds, too quick. There is no aircraft in Ecuador that can move at that speed. We checked and there were no military aircraft flying in those areas. We concluded that it was an unidentified flying object. It was a speed that no aircraft here could attain." Chirije is located in the northwestern Ecuadoran coast, 15 kilometers south of the Bay of Caráquez in Manabí. It is 90 kilometers south of the Equator, a location considered by some as a "dimensional portal" - a perfect place for UFO encounters. This archaeological site is surrounded by 238 hectares of dry tropical forest and kilometers of unspoiled beaches. Chirije was an ancient seaport of the Bahía culture (500 BC - 500 AD). Mexico: UFO Falls from Sky During Storm?